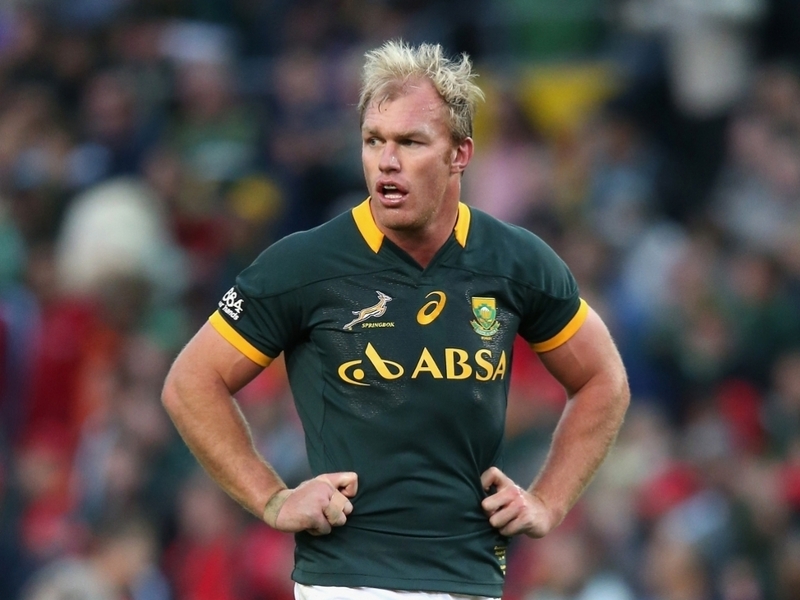 Saracens have confirmed the capture of Springbok legend Schalk Burger on a two-year contract. The world-renowned flanker will join up with the Premiership club at Allianz Park next season. Burger, a former World Player of the Year, will head to England after completing spells with Super Rugby side Stormers and Japanese club Suntory Sungoliath. "I'm delighted to be joining Saracens. I'm extremely excited to have the opportunity to play in both the Aviva Premiership and the European Cup, two of the leading competitions in world rugby for such a special club," said Burger. "It's an exciting challenge for me and my family and hopefully I can add a lot of value both on and off the field to an already successful group of players and coaches. I'm looking forward to playing alongside my new teammates and playing in front of all the Saracens fans and getting to know everyone at Allianz Park." Burger is an international veteran of 86 caps, having recently helped South Africa reach the semi-finals of the 2015 World Cup. Saracens director of rugby, Mark McCall said: "Schalk is a Springbok legend, and will add a huge amount of experience and quality to our young English pack of forwards at the club. "We have always talked about having the right blend of experience and youth in our squad, so to be able to add one of the world's finest players to the group is extremely exciting news." The addition of Burger will help fill the void left by Ernst Joubert and Jacques Burger, who are both set to exit Saracens at the end of the current campaign.